Bands, Brews, and BBQ Starts This Weekend at Seaworld! SeaWorld Orlando’s Bands, Brew & BBQ Festival takes place four sizzling weekends in March – starting this Saturday – with new headline acts announced each week. Announced today are the headline performers for the second week of the event: award-winning singer/songwriter,Rodney Atkins,on Saturday, March 14,and the longest-performing R&B group,Kool & the Gang, on Sunday, March 15. The celebration salutes America’s Heroes with military discounts for both active military and veterans, patriotic offerings and a partnership with the USO Central Florida, an organization that has been lifting the spirits of America’s troops and their families for more than 70 years. Thepatriotic-themed USO Garden will offer a relaxing place away from the crowds that reflects the spirit of the renowned organization, viewing of the concerts on large flat screens and refreshments. Guests can get up close with animals and kids can work on masterpieces at coloring stations, take photos with SeaWorld costume characters, learn from educators and play interactive games. In addition, this area offers messaging about the USO while music that speaks to the history of the USO provides a nostalgic atmosphere to the area. SeaWorld Orlando is proud to offer a special discount for all enlisted men and women AND veterans during Bands, Brew & BBQ — 50% off a 2015 Fun Card which allows unlimited admission to SeaWorld all year for the price of a single-day ticket. For more details, visit wavesofhonor.com. For a VIP experience, packages with reserved seating are available. Guests that take advantage will receive an in-park spending credit that can be used toward mouth-watering food, craft beer samplers, merchandise, Quick Queue or even an up-close park experience. Front Row Seating – Starting at just $39, guests can reserve a front row seat (just inches from the artists) and feel like part of the band. As an added bonus, guests will enjoy $10 toward in-park spending. Floor Seating– Starting at just $19, guests can enjoy reserved floor seats right in front of the band. This package also includes $10 toward in-park spending. Craft Brew Sampler– Sample 10 ice-cold craft beers from a selection of 30 for just $25. Food is also celebrated during Bands, Brew & BBQ. Serious barbecue connoisseurs can sample Orlando’s best barbecue from local smokehouses –Bubbalou’s Bodacious Bar-B-Que and Sonny’s BBQ® –plus SeaWorld’s very own sweet & smokin’ barbecue. In addition to the signature acts and festivities, the event also will feature a secondary stage to showcase local bands, and a DJ spinning music forline dancing and boot scootin’. The best way to experience Bands, Brew & BBQ and all of SeaWorld’s special events throughout the year, is with a2015 SeaWorld Orlando Fun Card, where you pay for a day and play all year. Plus, for a limited-time, guests who purchase a Fun Card can also enjoy a one-day visit to Aquatica, SeaWorld’s Waterpark™. Stay tuned for the latest event information and artist announcements onSeaWorldOrlando.comas well as SeaWorld’s Facebookand Instagram accounts. 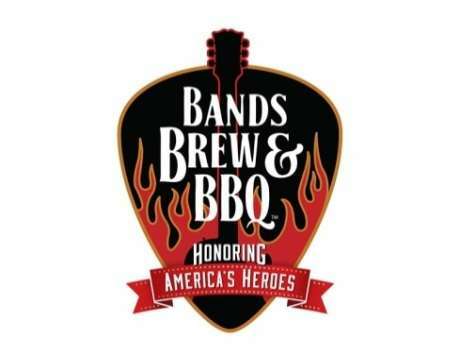 Join the conversation using #SeaWorld #BandsBrewBBQ. Next Post Leonardo da Vinci: Man-Inventor-Artist-Genius Coming To Orlando!